Previously, we published an article here on our blog about responsive design. If you haven’t read it, please do, as it discusses what responsive design is and why it’s important. There may, however, be some confusion about the difference between mobile websites and websites utilizing responsive design. First, we’ll do a quick recap of responsive design. A responsive design website is a single design that adjusts based on the resolution of the device in which you are using to view the site. 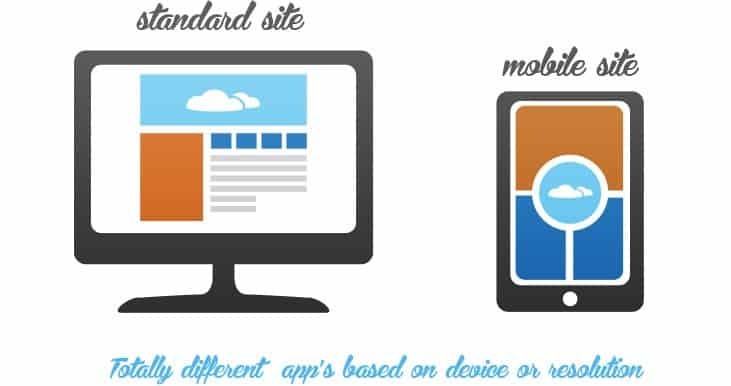 When viewing the site across a desktop, tablet or mobile device you will see the same elements, but reorganized and resized to show the cleanest, most user- friendly version of the site for that device. A mobile website is created in addition to the desktop website version. The site will have limited content and images – typically only what’s absolutely necessary for a user on the go – and eliminates other common desktop features. Mobile websites will also have a link to the full website, in case the user needs more information. Both responsive design and mobile websites take time and planning. Our Omaha design and development team work together to ensure that each page is planned for the best user experience – for both types of websites. Just as with any custom design, the cost is completely customized to your needs and your website. For our Omaha customers, we are recommending responsive design over mobile websites. This solution is the best way to ensure that users are getting the information they need while having the best possible experience. 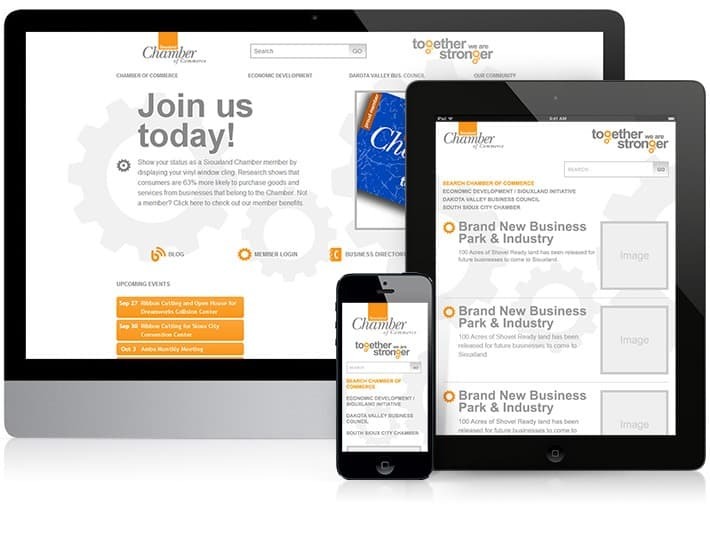 A responsive design is able to grow with changing technology and grow with your business. It’s the most efficient and cost-effective long-term solution for your website and we’d love to have the opportunity to discuss this possibility for you and your business. Our team recently launched a new website for Omaha Pest Control – a local Omaha residential and commercial service company with a trusted reputation. Omaha Pest Control previously had a website that did not display its services or professionalism well. Our team recently launched a new website for 680 Maple Storage, located in both Omaha and Council Bluffs. This website merges two previously separate sites – 680 Maple Mini Storage and 680 Maple Mobile Storage. Upon arriving at the homepage, the user is directed into one area or the other depending on their need. According to the research firm Gartner, tablet shipments have seen a significant increase between 2012 and 2013 (120 million units to 202 million units – up approximately 68 percent), and it expects them to see an even bigger growth between 2013 and 2014. Additionally, traditional PC shipments are forecast to total 305 million units in 2013, a 10.6 percent decline from 2012. So what does this mean for your Omaha business’ website? It means it must better adjust to these devices for a more user-friendly experience. The solution for this is responsive design, and more than ever before this is a needed solution for websites. We must begin to think beyond the desktop and craft designs that anticipate and respond to your users’ needs. 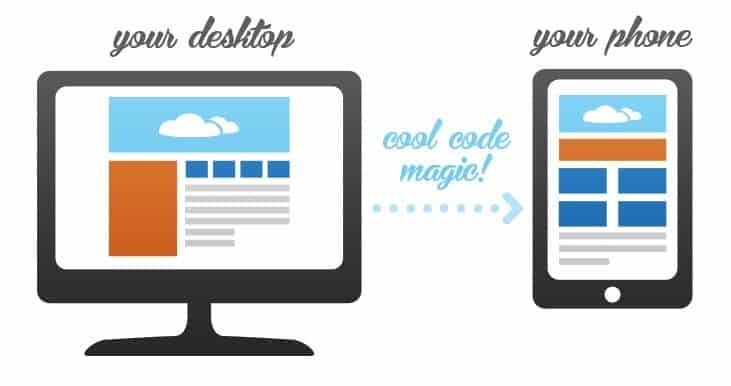 Responsive design allows for a website design to resize, or adjust, based on a devices’ resolution. The best way to understand it is to see it. Recently, our team at JM built a responsive design for the Siouxland Chamber http://siouxlandchamber.com/. Flexible images and fluid grids size correctly to fit the screen. Because of a change in user trends we are now designing for a medium that has no fixed dimensions, a medium that can shape-shift to better suit its environment. Responsive design is about seamlessly displaying content across multiple platforms and helping businesses build more attractive sites to increase their sales through a better user experience. Our Omaha design and development team are ready to assist your Omaha business in updating your website to include responsive design. Each year, mobile and tablet users will increase and your website needs to be conducive to these visitors. Posted on December 6, 2013 Author JM Web Designs Categories News & Education Tags Internet Marketing, mobile websites, responsive design omaha, Web Design Omaha Leave a comment on What is Responsive Design?